When children grow up and move out of the house, it can be quite the adjustment for parents. 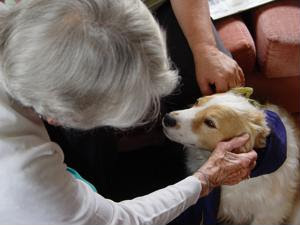 Whether older adults have recently become empty nesters or have been for some time, it may leave them feeling lonely or depressed, so getting a pet helps to ease that transition. Something to care for: Parents are used to caring for their children, so when adult kids leave to take care of themselves, seniors may not be sure how to occupy their time. A pet, especially if it's a baby, requires constant care and attention, which can help fill that void in clients. Companionship: Going from a house full of people and voices to a more empty, quieter space make take time to get used to. If your clients are longing to share their space again, they can do so with a four-legged friend. Exercise and socialization: If clients are feeling depressed, they may not have any interest in going out of the house. But if they get a dog, they'll need to walk it and/or take it to a dog park where they can make new friends.